Set of 20 modern calligraphy fonts are perfect for creating a wedding invitation, signatures, letterheads, logos, T-shirts etc. File format: .otf, .ttf, .woff, .eot for Photoshop or other software. 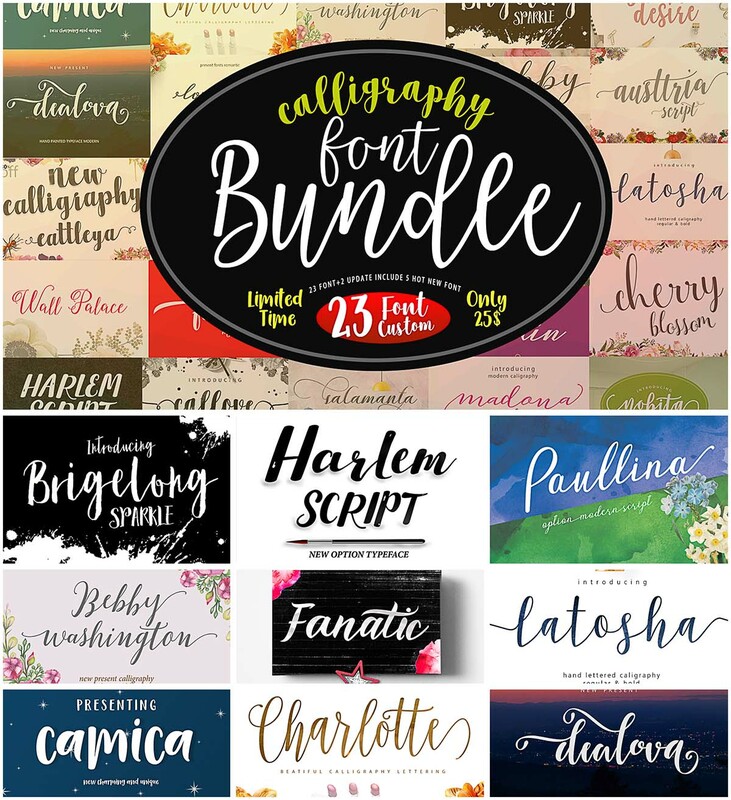 Tags: brush, calligraphy, digital font, graphics, script, swash font, typography.